Rooibos tea, also commonly known as South-African bush tea or simply red tea, has been growing rapidly in the world of health and wellbeing in recent years. Well mainly because of the compelling and ever piling evidence on how beneficial rooibos tea can be for us human beings. 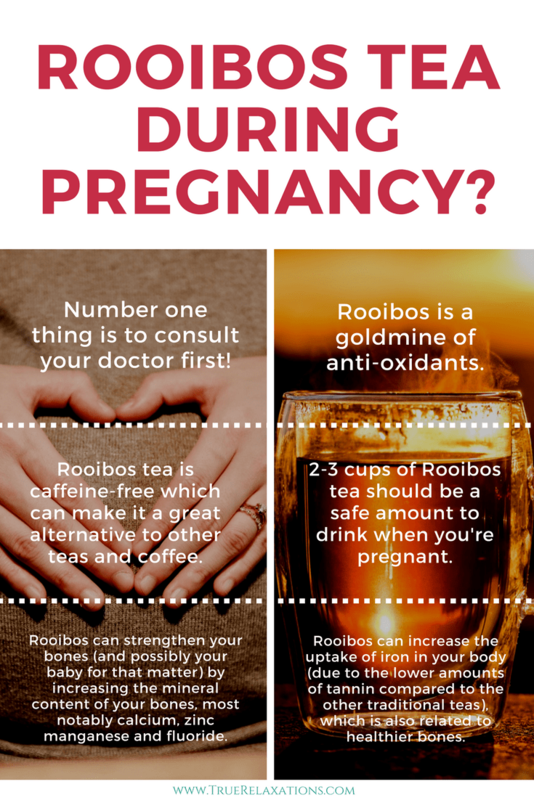 Our question of the day is: is rooibos tea a viable beverage for soon to be moms and are the benefits still possible for a pregnant woman? The short answer is yes, or the safer answer would be “most likely”, as most sources and experts claim that it is quite safe to drink rooibos in moderation compared to lets say coffee and the other traditional teas (green, black, white) out there. That being said, it is still highly advised that you should consult your doctor before making the decision to start drinking rooibos tea. If you prefer some details and specifics to why it could indeed be a safe option for you as a pregnant lady, lets look at it together! First things to know about the rooibos tea is that it is completely and naturally free from caffeine! 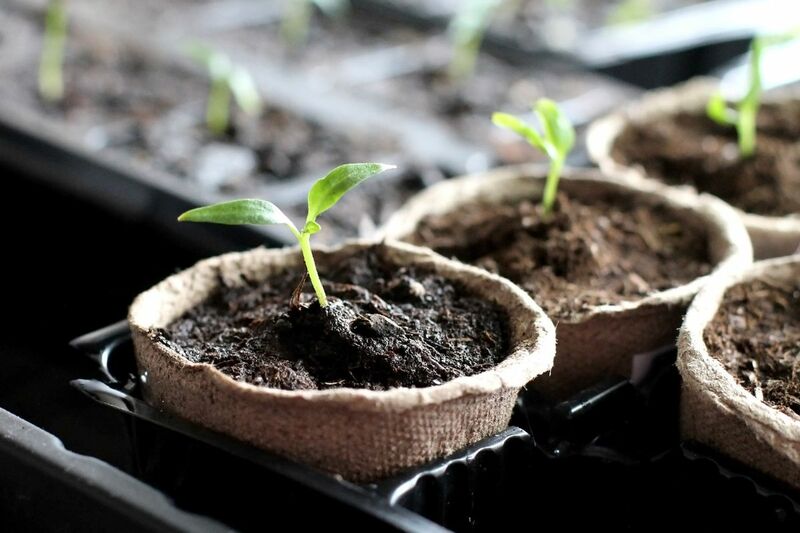 This is especially important for pregnant ladies because there have been a lot of studies which have observed the adverse effects caffeine can have on the placenta, i.e. the part of the uterus that is responsible for delivering oxygen and nutrients to the baby. Another negative effect that caffeine can have on you and your baby is that it very easily raises your blood pressure and heart rate, which isn’t good for a fragile fetus. A third negative effect is that caffeine can easily disrupt your sleep cycle and prevent you from getting the necessary rest that you need for allowing the baby to grow healthily. That being said, while some sources claim that small amounts of caffeine is quite ok to drink (under 200 mg) others claim that all caffeine should be avoided completely. After looking at some of the studies, some of which are referred to in this article, we advise the latter. If you’re looking to dig deeper into the topic of caffeine (coffee) and pregnancy have a look at this article on momlovesbest. The reason rooibos is caffeine free is because its made from a completely different bush-plant, Aspalathus linearis native to South Africa, than the normal teas, black, green and white tea which are made from Camellia sinensis, native to Asia. 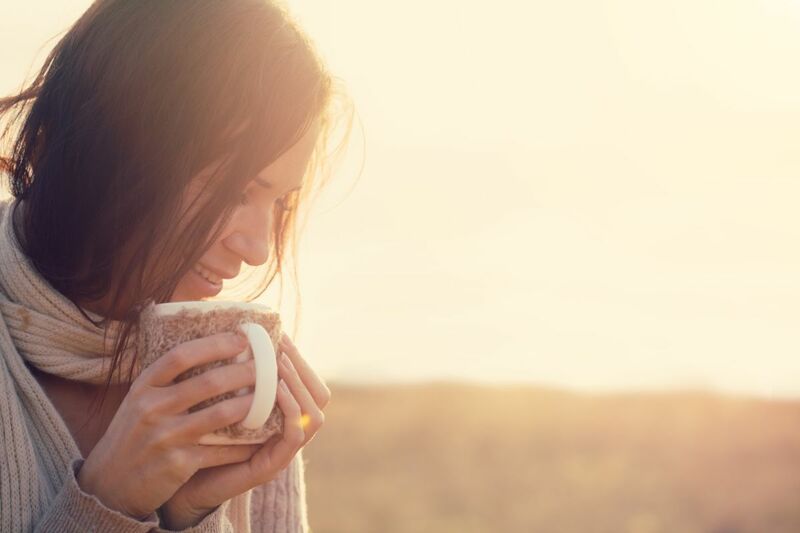 These normal teas do indeed contain caffeine, sometimes in quite high levels, which further strengthen the argument that rooibos tea is a great alternative if you are a tea lover. The main benefits of rooibos originate from its high content of anti-oxidants and minerals. 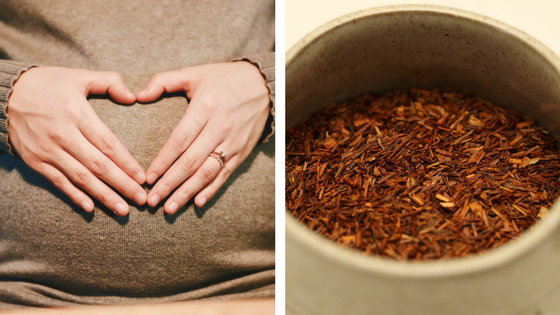 We understand that there are many benefits to drinking rooibos, but are there any specific benefits that are especially related to you and your baby in conjunction? There very well might be, though there haven’t been a lot of, if any, studies that look at this matter specifically. Strengthening your bones (and possibly your baby for that matter) by increasing the mineral content of your bones, most notably calcium, zinc manganese and fluoride. Increasing the uptake of iron in your body (due to the lower amounts of tannin compared to the other traditional teas), which is also related to healthy bones. Providing the body with numerous anti-oxidants, some of which are very rare and unique like aspalathin, that over all boosts your immune system by fighting off free radicals. 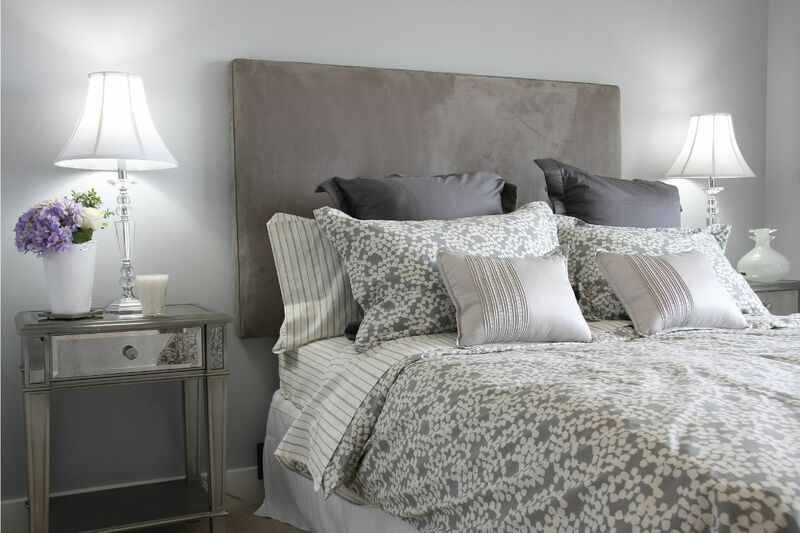 Priming you for a good nights sleep. As you see the mentioned benefits above can in some way or another be linked to the optimal growth of a baby in the belly. It is very important to listen to your body, especially when you are pregnant. If for some reason you are sensitive to the rooibos tea, you should do the wise thing and avoid it as well. 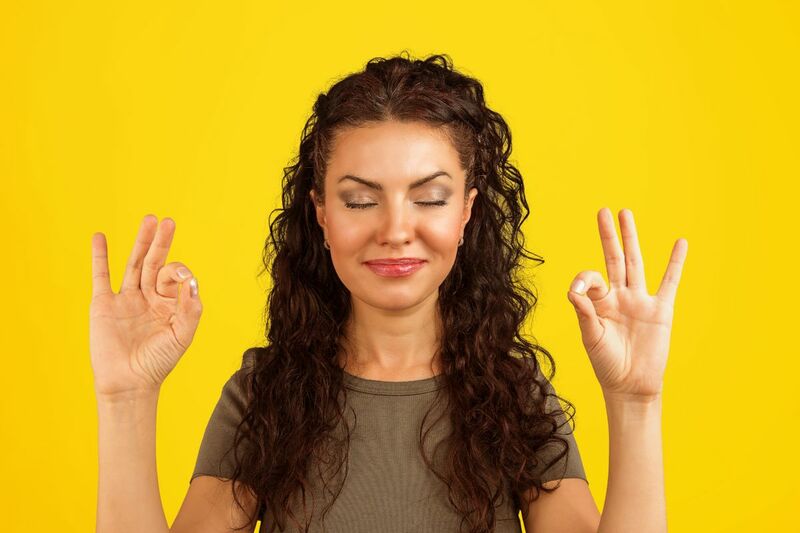 However if you feel no negative effects but on the contrary only positive ones, it is safe to say that you could drink a couple cups a day (2-3) without having to worry about anything in particular. Having said that, too much of anything is rarely good, even if its vitamins and “anti-oxidants”. The main thing is to listen to your body, to your baby and let that deep intuition guide you these following months before the great event!